The two types of manufacturing, centrifuge and moulding, are complementary. The centrifuge allows cylindrical, made-to-measure parts to be obtained. These parts respond to detailed parameters both in terms of quantity and materials. Moulding, on the other hand, allows pieces of any shape and chemical composition to be made. 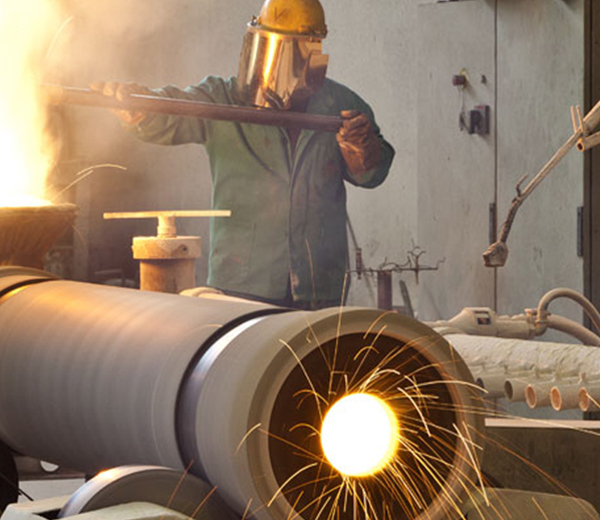 The 2M foundry of Cremona has a productive capability that lies between 6 and 10 tonnes of cast metal per day. Specialised professionals follow all phases of the production processes.